The hood of the Nano earlier had white background (white sticker) inside.Last week I happened to see this Gift Wrapper and bought about 4 sheets.Each sheet costs about 5/-.I taped one sheet inside the hood.The pics are below. surface while taping the sheet inside,the light reflection is better after the job. 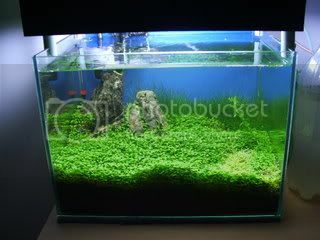 I have a similar thing to my planted tank with aluminium foil. i tried this an year ago but the reflective film will wearoff due to excessive condensation on the inner surface of the hood. Neat, The plastic may melt due to Heat. I use food grade aluminium foil that costs about the same but is more temperature tolerant. The tank looks beautiful. What lights are you using? The beautiful tank is a 14" X 12" X 10 " with Amazonia 2 substrate. This is Dinesh's first planted tank. Lighting - Two CFL bulbs of 30 w and 20 w.
Filteration - A Hang on filter. The Flora - Glossostigma in most parts. A very little riccia on the right if you see carefully (light green). And Hair grass in the rear. The Fauna - A dozen red cherry shrimps. 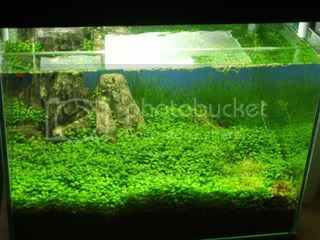 There is a full thread on the setting up of this Iguwami planted tank. IMO Curmbled Aluminium foil could be a better choice. The tank looks very nice. 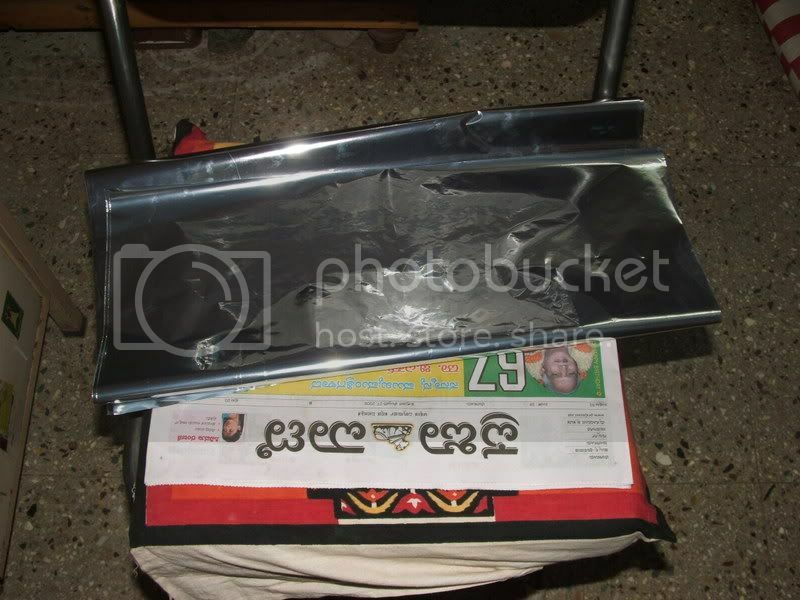 Asian has parabolic Reflector sheet which will give you mirror like reflecting, you can try them out. And they are very cheap too. True. When you have a small tank you do not have much choice. Putting in a internal filter will spoil the landscape. External filters are out of the question. For the water circulation he has used a small HOB with the minimum output. Putting in CFL bulbs is frowned upon since they generate heat. Here again not much choice. He has lifted the hood a couple of inches on stilts for more air circulation to cool the tank. Regarding DIY Co2 this being his first planted tank, spending a couple of thousand bucks on a pressurized Co2 system for a small tank is overstretching anyone's budget. Excellent handling and dedication, Dinesh.